Liver Disease – Fatty liver is a condition that’s affecting more and more people every day and nonalcoholic fatty liver disease is the most widely experienced. Obesity and diabetes, two major health threats, are conditions that drastically increase one’s chances of developing fatty liver. A new study is showing that the polyphenols in turmeric may be helpful for reducing the risk of the fatty liver while decreasing stress at the cellular level. This study is just one of the recent examples in the literature showing a strong benefit of turmeric with liver health. A recent study set to publish in the December 2015 issue of Archives of Animal Nutrition examined the effect of turmeric polyphenols on the livers of cows. Since many conventional feedlots are crowded and dirty, cows are under a great deal of stress. This stress causes physiological changes that impact the health of the liver in much the same way as stress impacts the liver (among other organs) in humans. It has been suggested that physiological stress of the endoplasmic reticulum in the liver contributes to fatty liver development, just like excess consumption of refined sugars. In the study, a major stress hormone in the liver was significantly reduced in the group of cows fed the polyphenol mixture consisting of turmeric and green tea. In addition, the study also saw a reduction in irritation markers, suggesting a possible risk reduction for fatty liver. The researchers commented that turmeric polyphenols may be helpful in decreasing fatty liver risk in cows. Considering that the induction of fatty liver works in the same way, could turmeric be helpful in fighting fatty liver in humans, too? It can’t be said for certain but this isn’t the first example of good news like this. Fill a mug half full with boiling water. Cover and let steep for 10-15 minutes. Stir in cinnamon, black pepper, vanilla, and honey. Fill the rest of the mug with coconut milk and stir. Turmeric has far more benefits than just adding color and flavor to your curry. An explosion of research in the field of nutrition has revealed surprising benefits of turmeric, from combating the damage of UV rays to protecting against neurological disorders. Also, turmeric could very well be one of the healthiest spices in the world. There is also some evidence that turmeric may support a healthy aging process and aid with weight loss. It seems as though turmeric is a bit like vitamin D in that it holds promise for a wide range of health issues. Most people are unaware that turmeric comes in many different forms. A highly concentrated extract of turmeric provides the most benefit, but the powdered and raw root form of the spice is also beneficial. According to some research, piperine, the active ingredient in black pepper, increases absorption of turmeric’s active curcumin compounds. So, it may be wise to consume your turmeric with a bit of black pepper to boost the health benefits. 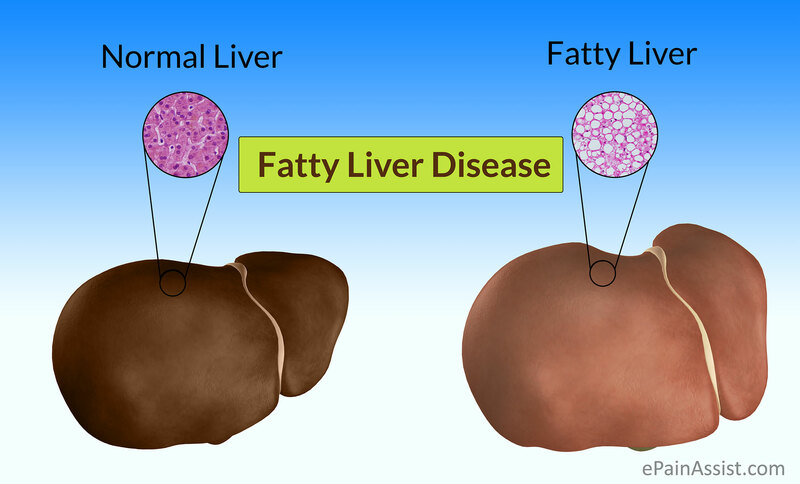 There are two types of fatty liver: alcoholic fatty liver and nonalcoholic fatty liver. Prior to the 20th century, the alcoholic fatty liver was the primary condition suffered by adults. But today, people of all ages suffer from fatty liver due to high rates of obesity and insulin resistance. The nonalcoholic fatty liver is commonly caused by the overconsumption of refined carbohydrates and is associated with metabolic syndrome. Fortunately, it is a reversible condition. Taking turmeric might be something to consider but the real change is going to come from consuming liver-cleansing foods on a regular basis, getting plenty of exercises, and eating a diet that is low in refined sugars and simple carbohydrates.